The Beauty Training Group are excited to offer this intense 1 day Russian Volume Eyelash Extension course. Suitable for those already qualified in Semi-Permanent Eyelash Extensions with at least 6 months experience. Students MUST be confident and competent in classic lashing before undertaking this course. Russian Volume is one of the latest techniques to hit the eyelash extension industry. This technique allows you to create fuller, darker lashes, cover gaps and hide sparse lash lines. 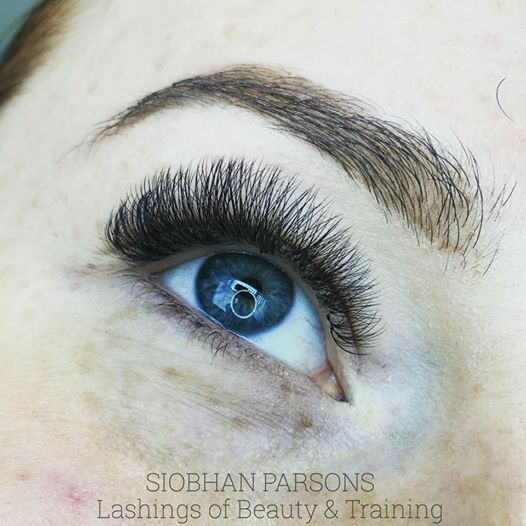 You will learn how to hand-make beautiful fans of eyelash extensions, using super fine lashes. During this course you will also learn how to understand safe weights to ensure you do not overload the natural lashes. We will show you 5 techniques of volume application and you will work on a live model on the day. Cost; £350 kit, training manual and lifelong aftercare support.